From bright and bold patterns to comfortable neutrals, the world of fashion and fabrics are known to constantly change. You may heard that fabric colors and patterns change by season, but have you ever heard of actual color-changing fabric? Just recently, The College of Optics & Photonics at the University of Central Florida (UCF) created the first-ever user-controlled, color-changing fabric. Created by a team of scientists, this unique fabric allows the wearer to change the color or pattern of the fabric through an app on their smartphone. So, not only is this new fabric completely innovative and stylish, but it’s also made with smart technology. Very different from other color changing fabric that’s on the market (remember the white, patterned t-shirts that would change color in the sun? ), the ChroMorphous technology ‘enables an innovative capability: user-controlled, dynamic color, and pattern change in large woven fabric and cut-and-sewn textile products’, as stated by the university scientists. What truly takes this new fabric to the next level is the technology that was implemented to create its color changing abilities. Each thread that’s woven into the fabric has a very thin, metal micro-wire embedded in it. These micro-wires allow for an electrical current to flow through, raising the temperature of the thread. Once the temperature is raised, the pigment in the thread reacts, therefore, changing colors. But that’s not all; the user/wearer is able to control the color-changing process with the use of their smartphone. The special technology used to create ChroMorphous allows the user to control when the color change occurs and what pattern they want on the fabric–matching color and style to their specific preference. Through an app, the wearer can select from a range of patterns and colors and with a tap of a button, it’s incorporated into their look. In light of this recent and sure-to-be-trending discovery, Dr. Ayman Abouraddy, Professor of Optics and Photonics and UCF, explains, “Although clothing has been a staple of the human experience for millennia, the basic structure and functionality of textile fibres and yarns have remained unchanged throughout history. The capabilities of electronics constantly increase, and we always expect more from our iPhones, so why haven’t textiles been updated? These were the questions we asked, and the foundation for creating the ChroMorphous technology that we began developing in 2016. We are excited to introduce the industry’s first color-changing fabric, as we believe it’s the next groundbreaking innovation in fashion and textiles” (source). It’s true, this is a significant breakthrough in the fashion and textile industry, and one that’s sure to grow and expand as the technology is further enhanced and perfected. Currently, this special technology is being scaled for mass production in Melbourne, Florida with the team at the College of Optics & Photonics and their collaborators. 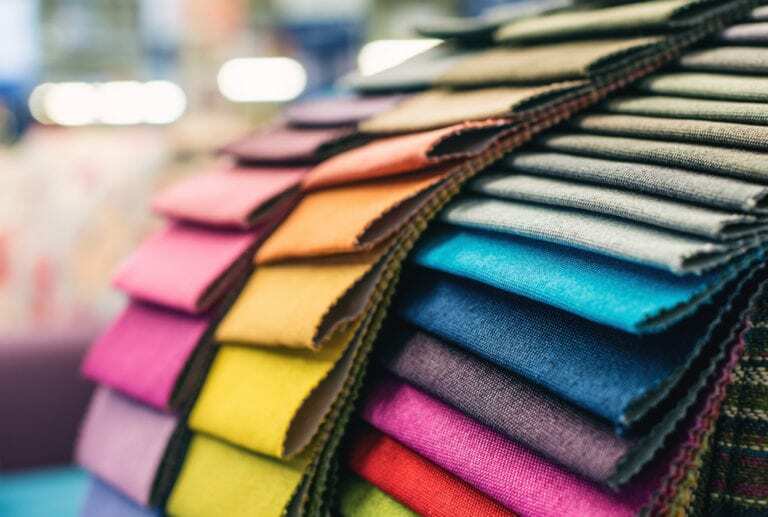 Though it’s still patent-pending, we will soon be seeing ChroMorphous fabric being implemented in not only clothing and accessories, but in furniture and other home decor, too. ChroMorphous fabric has great potential to be the next trending fabric across the US.